Time for an eggnog piña colada or seven. 1. Get in the Half Christmas spirit. 3. Candy cane pool noodles > boring regular pool noodles. 4. Water balloons > snowballs. Check out this blog for even more ideas on how to throw an outdoor Christmas in July party (they went big). 5. Or invest in a pack of anytime snowballs. This miracle is only $19.99 and your childhood self will thank you heartily. 6. Whip up a batch of eggnog-coladas. This is also perfect for the dead of winter, when all you want is a whiff of coconut and the barest hint of sun. Get the recipe here. 7. And some peppermint s'mores. 8. And some in-season strawberry Santas. 2 cute 2 b eaten. 9. Half a Christmas = half a tree. 10. Send cards to your loved ones. 11. Dress for the occasion. 13. Mistletoe that will never die results in maximum making out. Get this lovely watercolor print here. 15. Take advantage of all the sales. Zazzle, QVC, and a bunch of Etsy sellers are all holding them, because they understand how the world should work. 16. 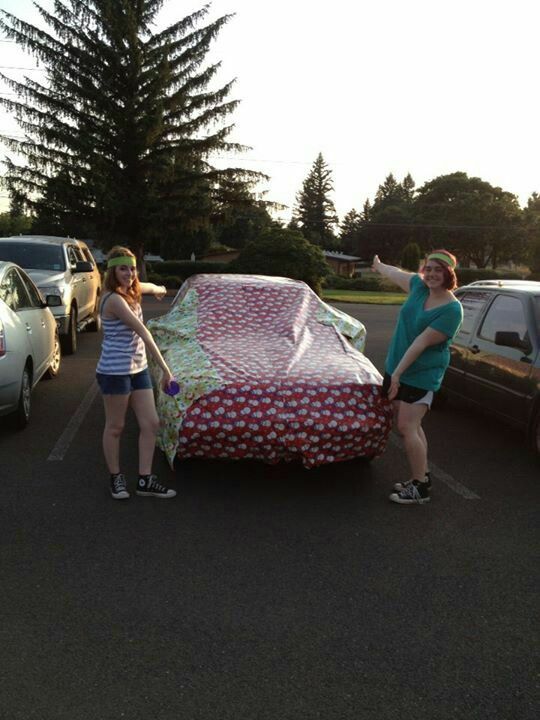 It's so much easier to gift wrap a car when you're not slogging through three feet of snow. And what holiday is complete without some harmless pranking? No holiday I care to know about. 17. 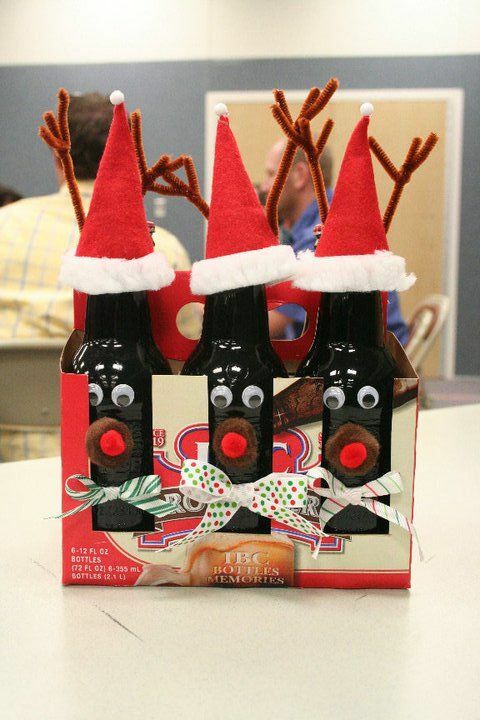 Reindeer-ify your ice-cold beer. So everyone can join in on the ~holiday cheer~. Get these (custom-fitting!) hats here.